January is a time of change, resolutions and often time organization. No matter what type of crafter you are, most have one thing in common. We hoard. We can’t help it, it’s in our nature. Knitters can’t say no to soft yarn just like scrapbookers can’t walk past Thickers in a font they don’t have. If your like me and dabble in several different craft mediums the hoarding can quickly become a bit, ok a lot, out of control. I love craft supplies, they are my weakness. Since I was a child nothing made me happier than a white piece of poster board and a fresh box of crayons. I still love them. So much so that they are busting out of cabinets and drawers all over my home. Sure, they may for the most part be in labeled buckets or over-priced plastic bins made specifically for scrapbook paper, but they are everywhere organized or not. Did I mention I have yarn, embroidery and stencils stored in my linen closet? Did I really just type that out loud? I know I am not alone in this plight. I come from a long line of craft supply hoarders. If you think I have a lot of stuff, you should see my mother’s house. 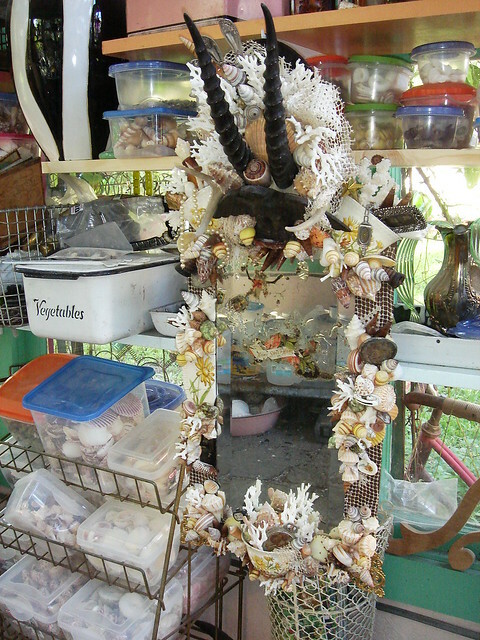 She has not one, but two studios stuffed to the gils with vintage Barkcloth, Bakelite buttons, antique tins, shells - you name it, she has it. My sister is the same way. She is primarily a painter, but there is A LOT of paint in her garage. Why have one of something when you could have a TON of something right? It works for our family. I once had an executive from the craft world tell me that there were two kinds of craft shoppers. There are the people that have a very specific project in mind, make a list, go to the store, buy items on that list, go home, make project. Then there is me. There are those people that go to a store and aimlessly roam the aisles. These are the people that wait to be inspired once they are inside the store and tend to impulse buy. The people who buy a bottle of Tacky Glue once a week because they can’t find the full bottle they bought the week before because it is buried beneath their other craft supplies. Sadly, it’s not just craft stores - it’s all stores. Thrift stores are a dangerous place because besides being a craft supply hoarder, I can’t pass up a good deal. Am I ever really going to finish that half completed latch hook rug I bought at Goodwill - maybe? Probably not. Maybe? Flea markets are the same way. So many craft possibilities coming at me from all directions. 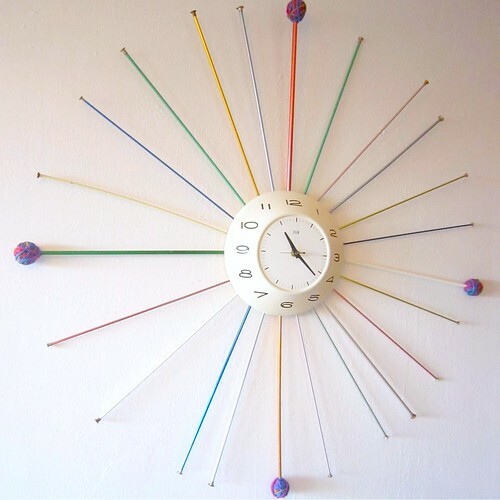 I don’t knit, but I need to buy all the vintage knitting needles I can find because years later I might decide to use them when making a clock. When inspiration hits, I like to be prepared and THIS is how I rationalize a lot of my craft hoarding. I’m like a moth to a flame with craft supplies, a kid in a candy store, a gambler in Vegas - I just can’t say no. Maybe for 2015 I’ll try to say less, no is not really possible considering my line of work. Maybe I will try to use what I have instead of wanting more. Maybe rather than going to the store to get inspired I’ll open up the cabinets in my garage (floor to ceiling shelving with you guessed it, all craft supplies). Maybe I’ll host some craft retreats with my girlfriends and share the wealth. 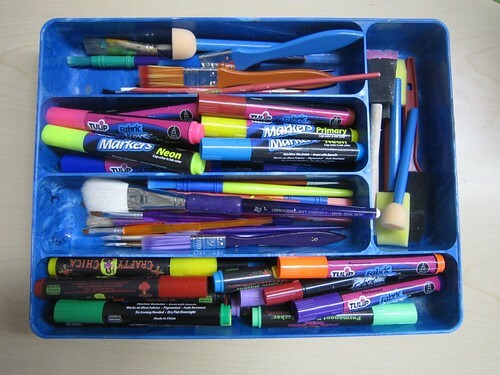 Maybe I’ll let my kids use my gel pens (only if they resolve to put the lids back on when they are finished). That is a lot of maybes, but that is what a new year and resolutions are for. Making goals and hoping to stick to them. Even if I have a few lapses on my craft hoarding I’ll just keep reminding myself that there are worse vices to have. Hi Jen - I'm the same way. It's great to know I'm not alone... lol. Oh blimey... that could so easily have been me writing that. AAAAAAND my craft room looks like the hoarder next door of the ccraft world. Yes, I amthe same! I'm not sure why but I have books and books with all sorts of crafting inspiration. Printing, sewing, knitting, kids crafts, paper crafts .... so with this in mind I am trying to vow not to buy new craft supplies for 2015. To start (and finish) some projects that I bought all these supplies for. If I need something to finish it then that is all I will buy. Trying to make it a no spending year and a actual make some projects year instead of planning projects. I'm glad to know that I am not alone in this craftiness hoarder obsession. matita del compianto Gerald Genta – sia la scheletratura firma inconfondibile replica orologi di Alta Orologeria tradizionale. Guarda un breve video.